We all have had at least one face mask moment in our lives. When I was a teenager, I didn't really do much face masks. Though I have to say I only used cheap ones and those didn't really do much for my skin. It was the experience itself that counted you know, having girl time with friends. It only was a few years ago that I started using face masks. I noticed that after using a face mask my face felt and looked smoother and wasn't getting oily as fast as it normally would. Also, my foundation would apply much smoother than it normally would and it would much better too. Since then I knew my skin needed a moisture boost and detox every week. However, lately I have been too lazy to put on a face mask and the pores on my cheeks were starting to look huge. 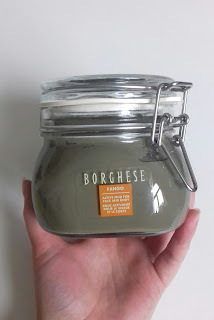 So a few days ago I decided I needed a boost for my skin and I applied my Borghese Fango Active Mud Mask to my face! Can we first talk about the packaging? It is a glass jar that is closed very tight. Not ideal for traveling, but I figured you can scoop it over in a smaller jar. Who would take a full size big jar with him or her while traveling?! Anyway. I love the packaging and it looks kind of cute sitting on a vanity. This mask comes in two sizes, theres a 430 ml and a 200 ml version. Both come in a glass pot. This version has a dark green color. I'll briefly discuss what they claim the mask does and then I'll tell you all about my experience with the mask and what I think about it! It's said to be a deep cleansing and also moisturizing mask. It's mineral-enriched and made of volcanic mud. It hydrates, stimulates and firms the skin, while it's gently detoxifying, toning and polishing the skin. Water, Kaolin, Aloe Vera (Aloe Barbadensis) Leaf Juice, Propylene Glycol, Glyceryl Stearate, PEG 100 Stearate, Cetearyl Alcohol, Bentonite (CI 77004), Zinc Oxide, Carthamus Tinctorius (Safflower) (Safflower Seed OiI), Olea Europaea (Olive) Fruit Oil (Olive Fruit Extract), Chamomilla Recutita (Chamomile) (Matricaria Flower Extract), Camellia Olefifera (Green Tea) Extract, Mangifera Indica (Mango) (Mango Seed Butter), Hamamelis Virginiana (Witch Hazel Water), Fragrance, Tocopheryl Acetate (Vitamin E), Hydrolyzed Oat Protein, Bisabolol (L-Alpha), Sea Salt (Maris Sal), Hydrolyzed Collagen, Hyaluronic Acid, Collagen Amino Acids, Adenosine 5' Triphosphate Disodium Salt (ATP), Mineral Salt (Potassium Silicate), Montmorillionite, Glycerin, Allantoin (Comfrey Root), Squalane, Talc, Butylene Glycol, Phenoxyethanol, Methylparaben, Propylparaben, Citronellol, Geraniol, Linalool, Titanium Dioxide (CI 77891), Chromium Oxide Green (CI 77288), Iron Oxides (CI 77491, CI 77492, CI 77499). The main active ingredient is bentonite, which is volcanic clay, according to my sources. 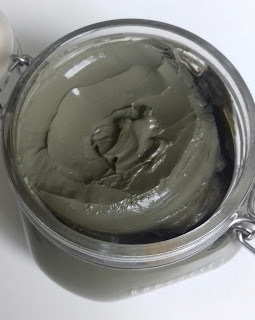 The mud mask is packed with minerals and hydrating ingredients, such as aloe vera, different oils and hyaluronic acid. It also contains collagen, which is good for your skin in many ways and probably the stimulating ingredient for your skin. Sounds promising with all those hydrating ingredients doesn't it? It contains different essential oils, which can cause irritation on your skin. There's also perfume in this mud mask, so if you have sensitive skin, this might be a pass for you... You can also see in the list that there's paraben in it, so if you're against using that on your face, this is also a pass for you. I, however, don't really mind using paraben on my face, so it's not a problem for me. 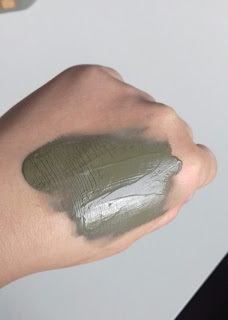 The color of the mud mask is khaki. 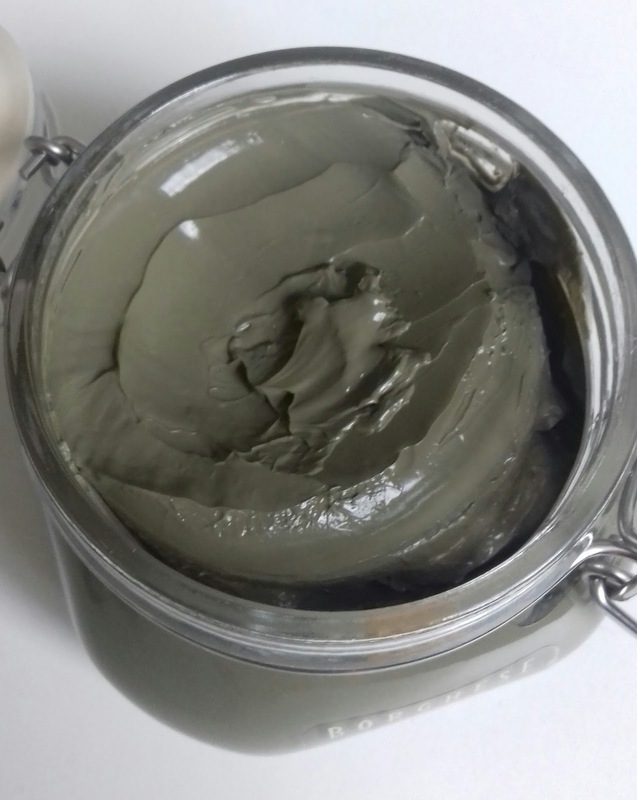 The particles of the clay are so fine, it feels more like a gel. It's very smooth, but the consistency is not as soft as a gel, it's more sturdy, if that makes sense. It smells really fresh, almost tea tree-like. You also can use this mask on your body. I apply it on a cleansed, dry face. I scoop a teaspoon full out of the jar and apply that generously on my face. I applies very smooth and feels very very, very!, fresh. After it sits for a few minutes I start to feel a tingling sensation as if the mask is sucking out all the toxic stuff in my pores. I don't think that's really the case, the tingling sensation is probably cause by some ingredients. It also is very fresh/cooling. 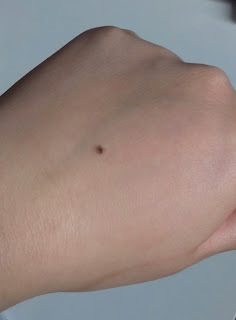 I noticed that when my skin is on the dryer side (--> when I haven't really been taking care for my skin and it's very dry), the tingling sensation isn't really pleasant, in contrary, it kind of hurts. But lately I have been religiously slapping al sorts of moisturizing stuff on my face, so it wasn't really that dry. I keep it on my face for 5-10 minutes, as the directions tell you to do. And after that I rinse it off with a luke warm cloth. I believe they recommend to rinse it off with a damp sponge and cold water., but since the mask is so cooling, I like a little warm on my face. The big jar comes with a sponge, but I don't really use the sponge. When all the mud is rinsed off my face I use a clean cloth soaked in cold water and swipe the last bits of mud off my face. 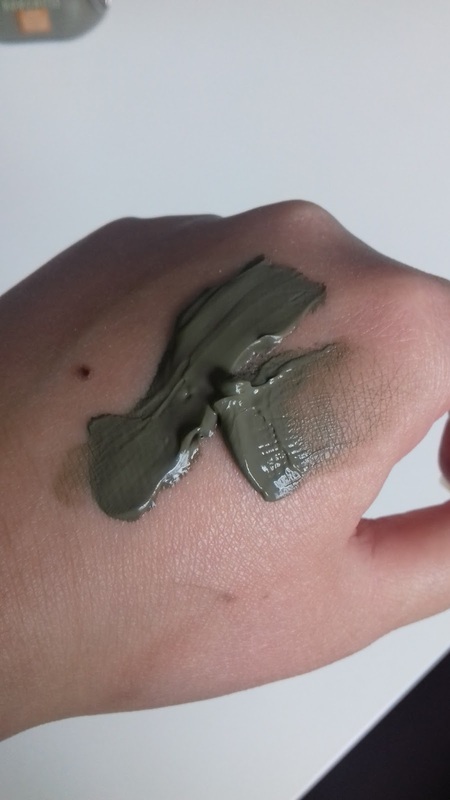 After this step I put on some toner on my face with a dampend cotton pad to tone my face and to remove the last bits of mud off my face. Then I apply moisturizer and continue my day. After the mask my skin feels very smooth, soft and very fresh. It is an intense mask, but I really like the results it gives me. The tingling sensation somehow gives me the feeling that the mask really does something to/for you skin and I actually like it. My pores also look less deep and big and the pores on my nose look less clogged. That is, to me, a very big plus. My skin looks much more calm and my face stays oil-free for a longer period of time than before. 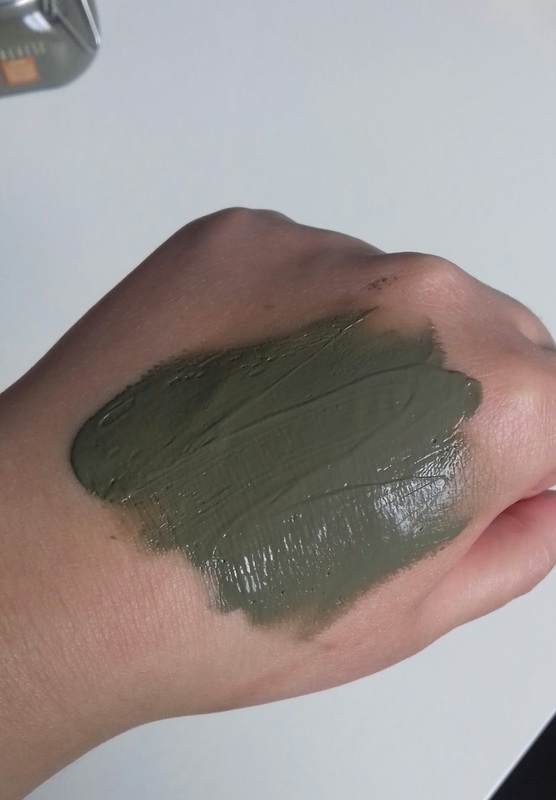 When you've removed the mask, you skin looks radiant and matte at the same time. I can't really explain it very well, but that's the best description I can give you right now. So, do I like this mask? Hell yes, I do! I would recommend this mask for all the skin types, except sensitive skin. Even though according to the manufacturer the formula is gentle enough for all skin types, it has some ingredients that might cause irritation to certain people. And what about the claims? To me this mask is true to the words of the manufacturer, only I think it might not be great for people with very sensitive skin, even though it's stated that it is suitable for sensitive skin. I love it and I will continue to use it!